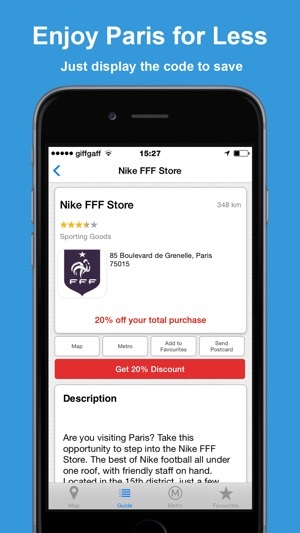 Paris for Less is the only offline city travel guide that actually saves you money. You could save up to €50 per day*. 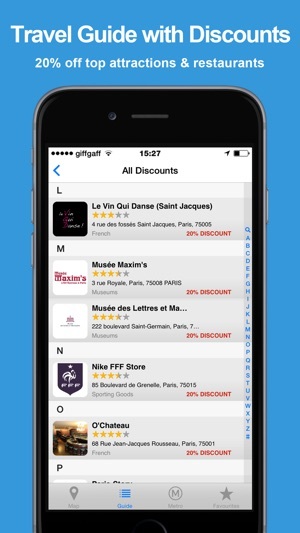 Access Paris’ street and metro maps with GPS positioning, discounts and coupons to top Paris attractions, tours and restaurants. 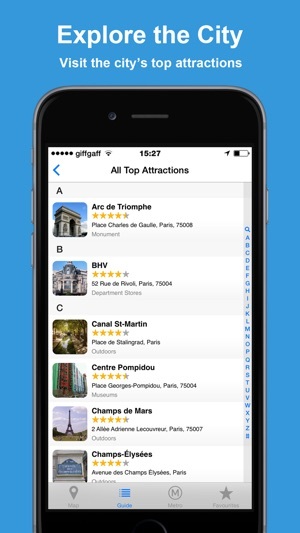 Paris for Less travel guide works entirely offline, so there's no exorbitant data roaming charges. Available in English, French, German, Italian and Spanish! • Completely offline: No need for WiFi or Internet access. 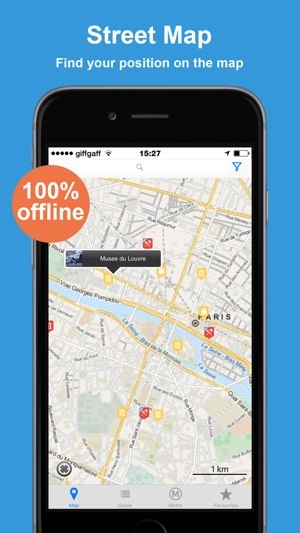 • Street Map: Search and find streets, places, museums, attractions, nearest to you or anywhere in central Paris with GPS. 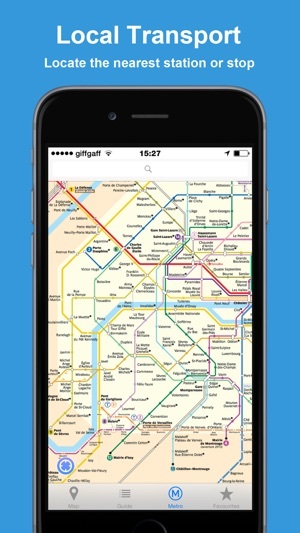 • Paris Metro Map: Complete, offline official Paris metro map. Search and find any stop. • The Guide: compact guide with information on the most popular Paris attractions (Notre-Dame Cathedral,Eiffel Tower, Musee du Louvre, Arc de Triomphe and others), museums, galleries, restaurants, shops, and other points of interest. • Attractions: Cinéaqua, Musée Maillol, Le Musée de Roland-Garros, Musée de Montmartre and more. Performance improvements and bug fixes.